In this second book of The Adventures of Sophie Mouse, Sophie and her friend Hattie Frog go on a daring adventure through the woods in search of some special art supplies! 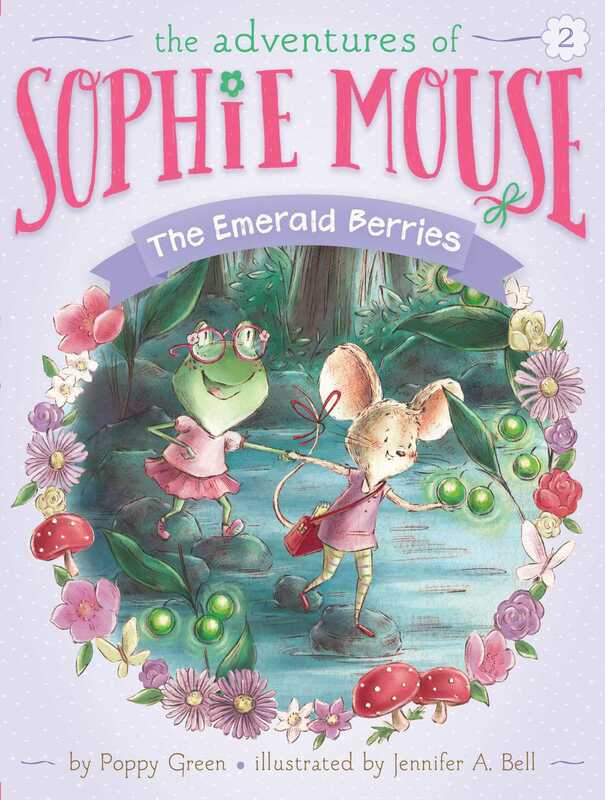 In the second book in The Adventures of Sophie Mouse, Sophie learns about some special emerald berries that will make the most perfect color for a painting she wants to do! But the seamstress who’s using the berries tells Sophie that they can only be found in one part of the forest: Weedsnag Way. Though that’s far from home, and a little scary, Sophie convinces her best friend, Hattie Frog, that they will be fine. But all is not quite fine, and the girls get lost along the way! Thanks to the help of a squirrel who disappeared from Pine Needle Grove years ago, Sophie and Hattie find the emerald berries…and their way home!